Affordable Dumpster Rental of Orlando (407) 777-2882, Starting At $199! Welcome! Looking for Dumpster Rental Prices in Orlando? We are here for your Dumpster Rental needs! Proud to Serve Orlando and Surrounding Cities! Affordable Dumpster Rental provides low-cost Residential and Commercial Roll off Dumpsters and Dumpster Bins starting at $199. We’re Orlando's premier dumpster rental service to call today for rates and services. Our Orlando Dumpster Rental includes: Residential Roll off Dumpster Rentals - Construction Dumpster Rentals - Bulk Trash Dumpster Rentals - Garage Clear Out Dumpster Rentals - Landscaping Waste Dumpster Rentals - Commercial Dumpster Rentals - Roll off Dumpsters and Dumpster Bins for any job! 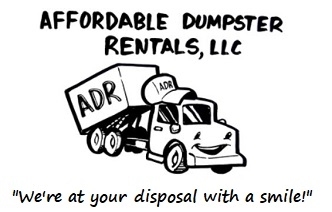 Looking for Dumpster Rental Prices in Orlando? "FAMILY OWNED WITH FRIENDLY SERVICE!" Rent a Roll-off dumpster or dumpster bin for all projects in Orlando! Whether you have residential or commercial waste removal needs, renting a roll off dumpster is the best way of getting rid of the garbage or construction debris. Affordable Dumpster Rental provides Roll off Dumpster Rental, Waste dumpster rental and Trash container rental for all of your trash removal need in Orlando and surrounding areas. Affordable Dumpster Rental provides dumpster bin containers available in 4, 6 & 8 cubic yard capacities. We offer same day service for your garbage bin dumpster needs to be delivered to your location promptly and as specified. Rent a roll off dumpster or dumpster bin containers in Orlando and Central Florida, for trash removal or construction waste removal. Looking for Cheap Dumpster Rental Prices in Orlando? Orlando Dumpster Rental Service Areas: Altamonte Springs, Apopka, Avon Park, Bushnell, Deltona, Edgewood, Haines City, Kissimmee, Lake Buena Vista, Leesburg, Longwood, Maitland, Ocoee, Orlando, Osceola, Oviedo, Sanford, Sebring, St. Cloud, Tavares, University Park / Orange County, Wildwood, Winter Haven, Winter Park and all surrounding areas. Subpages (2): Orlando and Surrounding Areas Dumpster Rental Service Proud to Serve Orlando and Surrounding Cities!